On Thursday 15/3/2017 at 20:00 hours, a lesson will be held by Mr. Polichronis Konstantinos of the Meteorology department – EPOMEA Paianias. Firefighting Academy training certificates were awarded to EPOMEA Volunteers who successfully attended the training program of the Firefighting Academy in the subjects of forest protection and wildfire prevention for the year 2016. 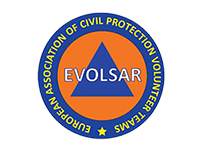 The courses, both theoretical and practical lasted 52 hours and were performed under the training program for Voluntary organizations registered in the General Secretariat for Civil Protection. The nomination was performed by Mr. Kranis Haralampos, professor of the National and Kapodistrian University of Athens, during the break of the Geology course given for our volunteers. An educational lecture with Mr. Kranis Charalampos, Professor of National and Capodistrian University of Athens took place today in our team's offices. Mr. Kranis gave an analytical yet comprehensible lecture on the subject of earthquakes by describing the causes of the natural phenomenon, how it affects civilians and how to personally and socially cope with a humanitarian crisis caused by seismic activity. On Monday 13/3/2017 Mr Kranis Haralampos, Lecturer of National and Kapodistrian University of Athens, Department of Geology and Geoenviromment will give a lecture on basic principles of Geology and seismic activity. The first PADI diving identifications were delivered to EPOMEA Volunteers who successfully concluded their diving school training. The educational program included a series of theoretical and practical classes in both pool and sea waters. The nomination was performed during the break of Meteorology class given by Mr Anastasios Arniakos. Weather, meteorological parameters, wind meters, air masses, barometric pressure, prognostic maps and meteograms were some of the terms explained in a unique way by meteorologist Mr. Tasos Arniakos in today's class fot EPOMEA Egaleo volunteers. We would like to express our gratitude to Mr. Arniakos, who always supports our efforts with his presence. 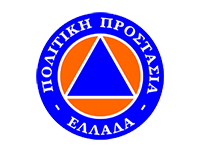 EPOMEA Egaleo was present at the basketball championships held at Stavros Venetis gymnasium, ready to provide first aid to both athletes and fans. Our newest members were introduced to mountain gear and its function in their latest class. The volunteers had the opportunity to see the equipment in practice with the support of their trainer and President of EPOMEA Egaleo , Mr Roumeliotis George. Announcement from mtbxpert.gr for health care coverage of the MTB mountain race "JuniorXpert 2017 Vol. 1"
Announcement from mtbxpert.gr for health care coverage of the MTB mountain race "JuniorXpert 2017 Vol. 1" for EPOMEA Egaleo. Petros Petropoulos S.A. presented the new model of ISUZU D-MAX to all of her representatives across Greece and organized an off – road test drive at the Saronida region. 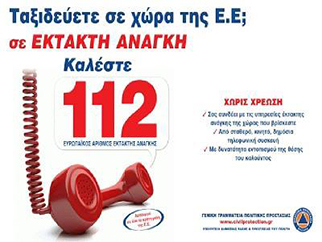 EPOMEA Egaleo was present covering health care needs for this most exciting event. 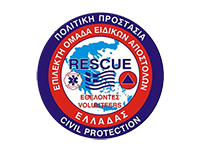 On Thursday 08/03/17 at 20:00 hours famous meteorologist Mr. Arniakos Anastasios will give a lecture on meteorology as a useful tool in rescue practices. The class will be open for everyone. We kindly request that you inform our offices of your presence. Continuation of educational activities for 5th Recruits Series , Medical Team and Mountain Rope Rescue Departments. Rescue training continues with unabated rate for the newest Volunteers in the context of an educational program focused on safe immobilization and transportation of a victim. In their latest class, the volunteers were introduced to a Sked type Rescue Stretcher. Meanwhile, both Medical team and Mountain Rope Rescue Departments continued their training, in theoretical and practical level. The first theoretical lesson of Mountain Rescue Training (also known as Rope Rescue) was conducted parallel with the basic training of our newest members with Training Officer Mr. Kasiotis Vasilios. Heavy Machinery training was conducted for the extrication of victims for the newest members of EPOMEA Egaleo, with Training Officer Mr Roumeliotis George, President of EPOMEA Egaleo. Members of EPOMEA Egaleo, Larisa and Icaria experienced fun and relaxing moments during their excursion to Karpenisi of Evritania. The organised expendition had activities such as rafting and kayak on the Trikeriotis river on Saturday and off-road tour with jeeps in the general area.